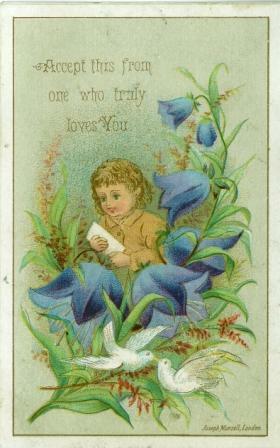 A chromolithograph valentine card printed and published by Joseph Mansell, circa 1865. Size about 10.5 x 7 cm. Signed bottom right, Joseph Mansell, London.